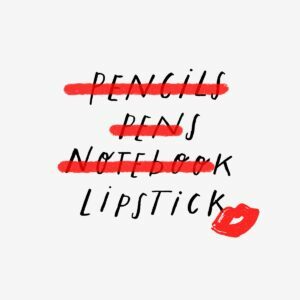 Sometimes I’ll be circling and circling around an idea and I just can’t quite figure out the logistics of it. That was this project. 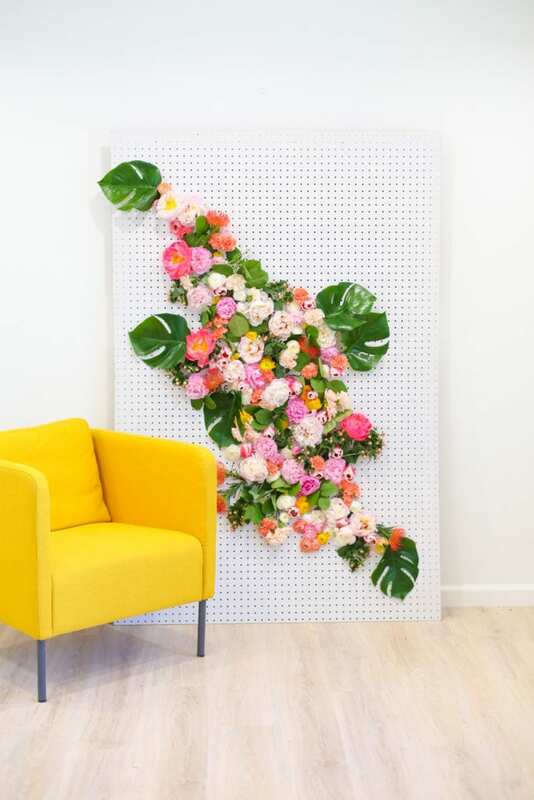 I’ve been wanting to do a big floral wall forever and just couldn’t sort out how to make it easy. So that anybody could do it. So I was just talking out loud trying to figure it out in the studio one day and Ryan had his back to me, working, and he just said out loud, “pegboard.” And I yelled “YES!” and kissed him on the cheek and accidentally smacked him around a little bit because I was so pumped. 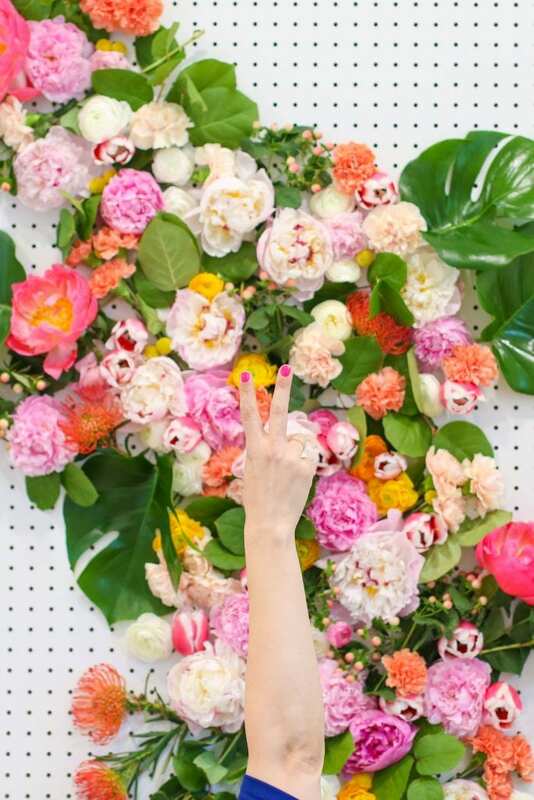 So long story short, you can thank Ryan for the super-simple DIY floral photo backdrop. 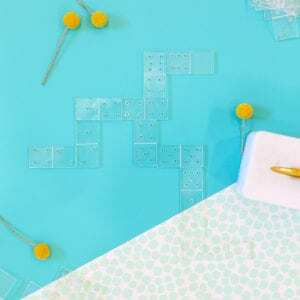 Step 1: Prep your pegboard. 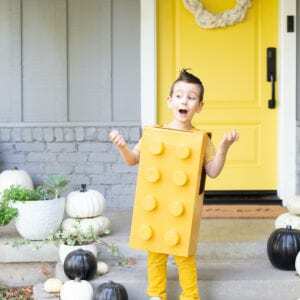 We purchased ours at Home Depot in a 4′ x 8′ sheet and cut off 2′ from the height, leaving us with a backdrop that was 4′ wide and 6′ high. But you could leave it super tall and it would be awesome! If you don’t have a saw, you can usually get wood cut at Home Depot if you do some sweet talking. Step 2: To keep it from bowing when you lean it against the wall, use glue dots to adhere your small boxes or foam. We used two empty pencil boxes, placed about halfway up the pegboard on either side. 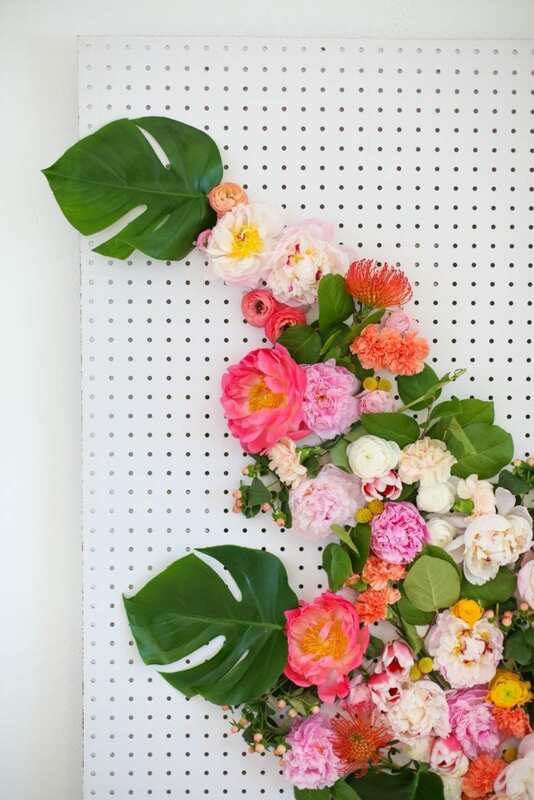 Step 3: Start attaching your florals and greenery. Start in an upper corner and create your edges. 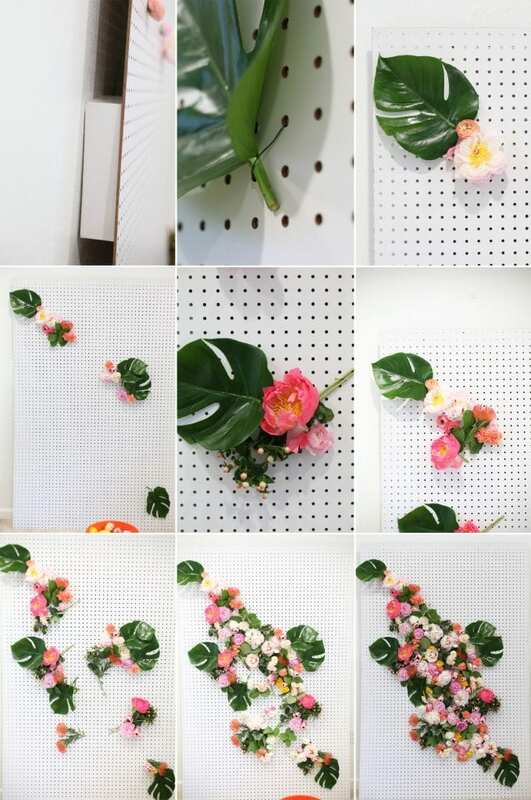 If the stems don’t fit through the holes, use a piece of floral wire to trap the stem against the pegboard and slip it through the holes, twisting together once or twice in the back. 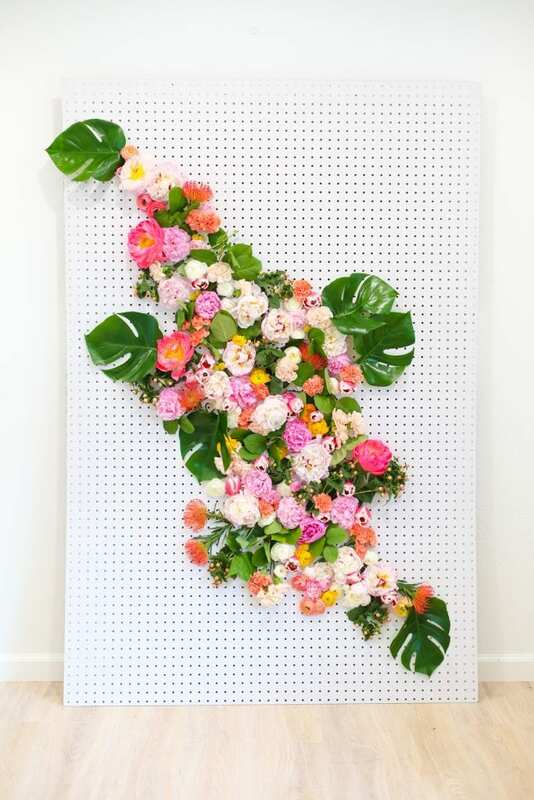 Step 4: Keep attaching florals and greenery. 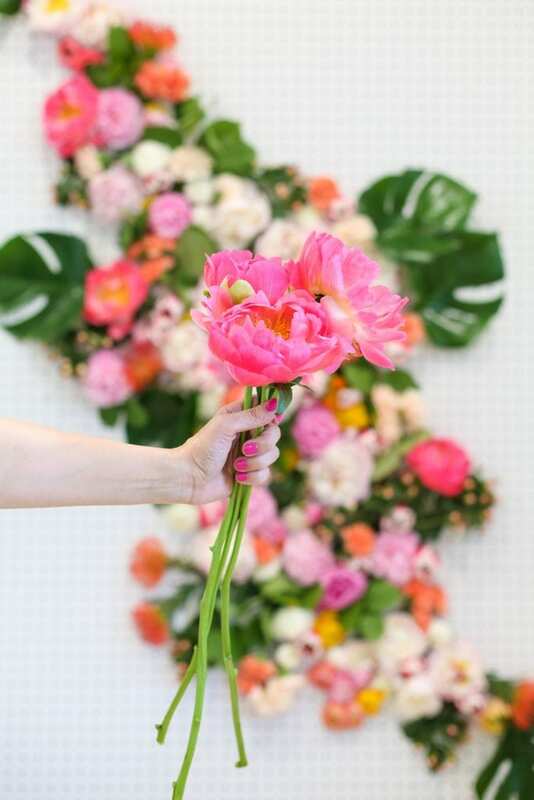 I recommend creating most of an outline first with larger leaves and florals, then filling in as you go. Large leaves like these monstera leaves make great borders. 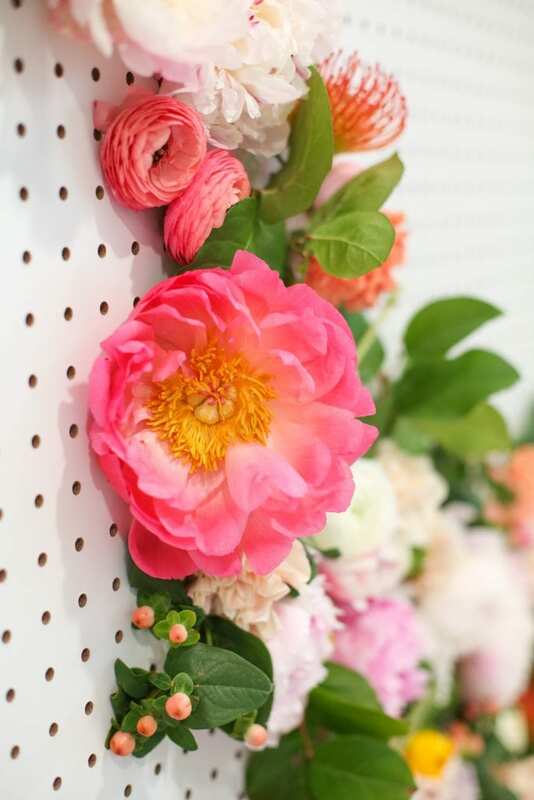 If your flower stems are small enough to fit into the holes, just trim the stem to about 3 inches and insert into your pegboard. Step 5: As you work, step back frequently to check for empty spots and overall composition. Step 6: Fill it all in and you’re done! 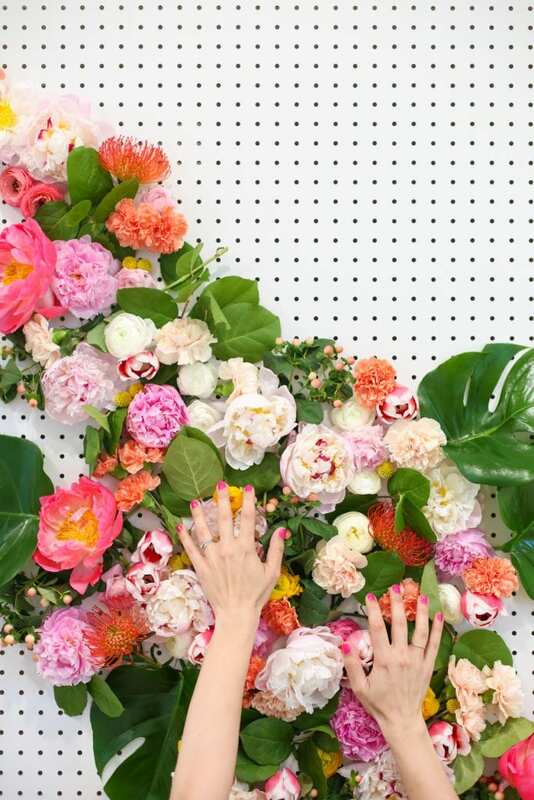 Snap some photos to document your pretty floral wall. 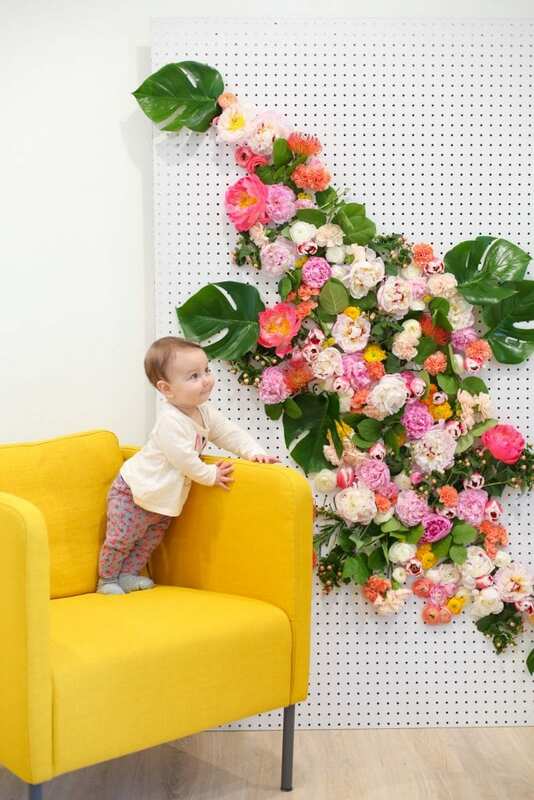 Gorgeous, but what this post needs are more baby pictures! Come on, how massively adorable! This is beautiful. Wondering if I could make this budget friendly! This is beautiful! 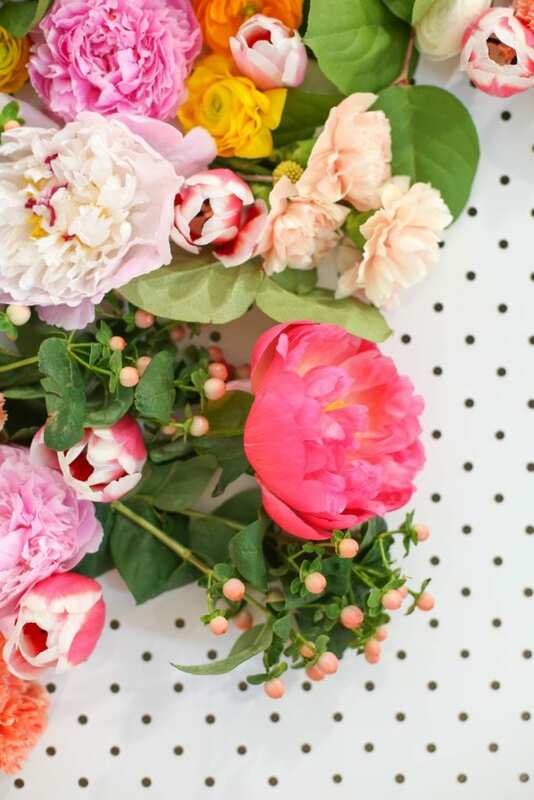 Do you have think silk flowers will come out just as nice? Any tips if you can’t attach the pegboard to a wall? 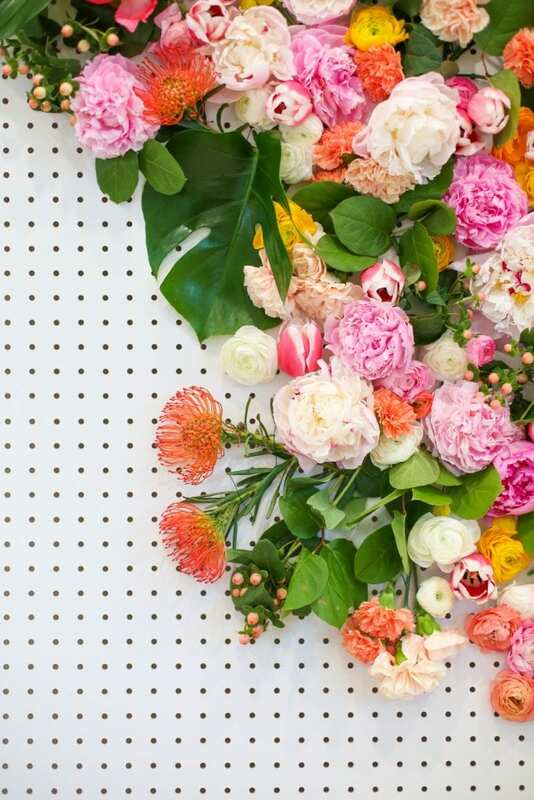 I am trying to DIY a flower backdrop but it must stand alone. Thanks for all the tips.